There is a common misconception that consistently going to the gym will incontrovertibly turn you into a healthier, fitter person. While frequent gym trips are never a bad thing, it is entirely possible to make little progression if you’re making simple mistakes in your workouts. We understand that, for many people, working out is an entirely new world, and you may not be familiar with the best practices associated with gym fitness. That’s totally okay! As fitness experts with our own gym in Allen, we’ve helped countless people take their first steps into the world of exercise. 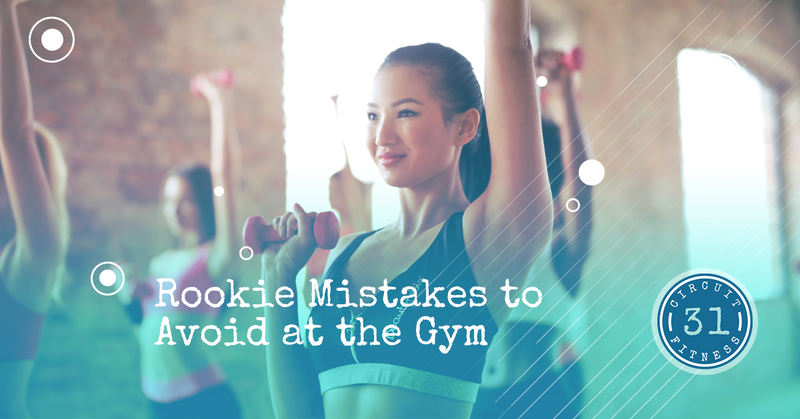 Whether you’re a veteran or a newcomer, here are some rookie mistakes to avoid when you’re working out at your local gym! There’s a reason why nearly every professional workout routine starts with warm-up exercises such as stretching and jumping jacks. Not only do they psychologically prepare you to work your body out, they also get your muscles ready for what is to come. When your muscles have gone through some movement, they’re more prepared for serious strain, which will not only improve the effects of your workout but also prevent injury. With nearly every type of exercise, there’s a certain type of “good form” that needs to be maintained for it to be effective. This generally means positioning yourself correctly and engaging your muscles the way that the exercise intends. If you have bad form, it essentially means you’re doing an exercise wrong. This is important because every movement counts in resistance workouts. For example, if you’re curling dumbbells, different parts of your biceps will be engaged depending on how your wrist is rotated. Bad form is often perpetuated by trying to lift more than you can handle. There’s no shame in reducing your weight so you can do the exercise correctly. Remember this next time you’re at your nearby gym! In the fitness world, there’s a term known as “muscle confusion.” The idea is that for your muscles to grow, you need to keep them “confused.” The more you do one exercise, the more accustomed your muscle will become to the movement, and growth will stagnate. Muscle growth, after all, is just a muscle repairing itself when fibers break through exhaustion. The general recommendation is to stick with certain movements and exercises for a week or three, and then change things up with new routines. Just when your muscles thought they had it down, they now have to accustom themselves to new movements, allowing for perpetual growth. Working out is much less effective when you don’t have an attack plan. You have two options — you can aim for consistent well-rounded, balanced workouts, or target certain muscle groups at a time — Chest Monday, Arms Tuesday, etc. What you don’t want to do is go in without a plan, do a mish-mash of different random exercises, and then show up the next day to do it all over again. This will likely end up as an inefficient workout that gives preferences to certain muscle groups and potentially leaving out others entirely. At Circuit 31 Fitness, we offer the “well-rounded” option. Our circuit training program allows you to hit every part of your body in a short time period, giving you a balanced and thorough full-body workout. Whether you’re new to working out or a seasoned veteran, we invite you to come to our gym! At Circuit 31 Fitness, we have more than enough weights and machines to provide any kind of workout you can possibly imagine, and our circuit training program is a popular choice for people who want to go in and get an efficient workout in a short amount of time. If you’re in the Allen area, contact us today or stop by to get started!